In 2002 and 2003, two E-Cranes were installed at Global Materials Services in Venezuela. 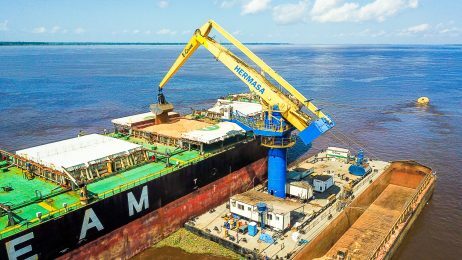 Both material handling E-Cranes are installed on a floating platform on mile 182 of the Orinoco River in Puerto Ordaz. The E-Cranes unload barges of bauxite into two hoppers also mounted on the floating platform. 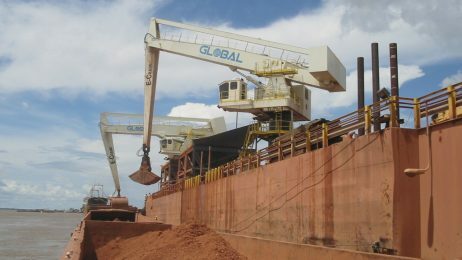 Global Materials Services is contracted by the bauxilum company, which mines bauxite in central Venezuela. 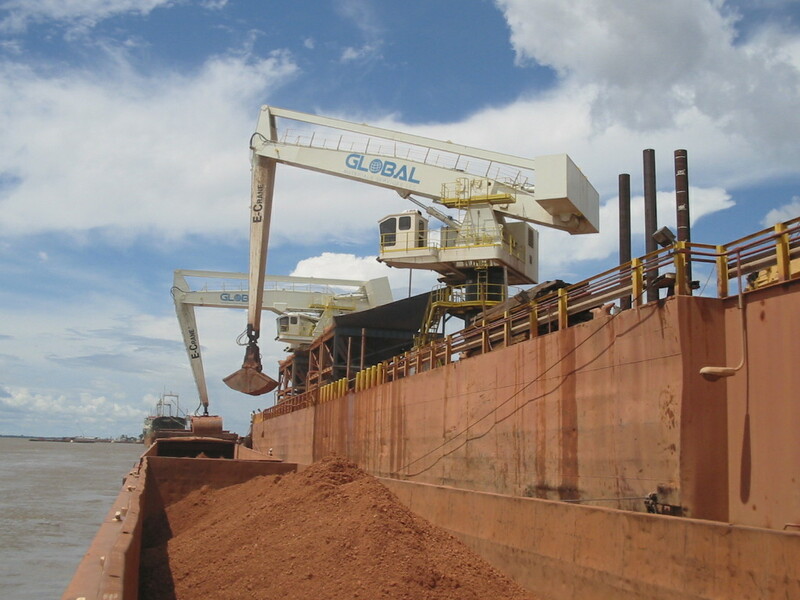 The bauxite is loaded into barges and shipped 350 miles downstream to Puerto Ordaz where the E-Cranes offload the material. This raw material is processed into alumina, the first step in the aluminum making process. The E-Cranes at Global handle about 5.3 million tons of bauxite annually, but the material handling all takes place within 7 months, as the Orinoco is too shallow for barge transportation during the dry season. 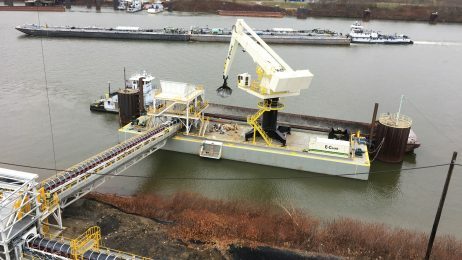 The E-Cranes replaced two ship unloaders which required a lot of maintenance and could not achieve the production requirements. 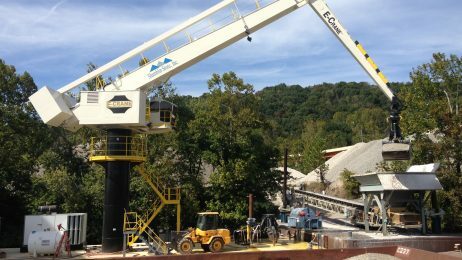 Global was in need of a faster and more efficient solution when the E-Cranes were chosen to replace the ship loaders.